First up is Capi's version that she made for her dad. She made it look like a window and used a tablecloth of her mom's (I am almost positive I have that correct) for the window curtains. She is super clever, don't you think? You can see the other really cute things she makes at her Etsy shop. Next up is Lisa's version. I love how she made her grass! And her flowers are so bright and happy. =) You can see more of Lisa's talent on her Flickr page. 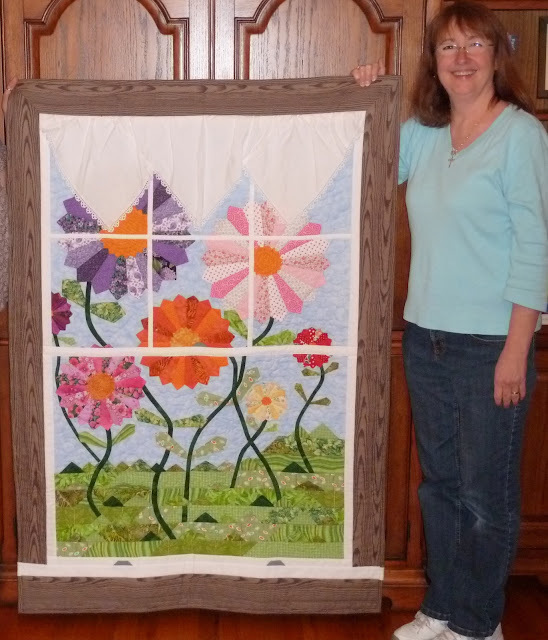 Both of the quilts are gorgeous! It's impossible to look at them and not smile! Thank you for sharing these quilts Amy. They are both amazing! Wow - the creativity of these two gals. Beautiful! They are wonderful. I'm sure their success makes you feel great! Those are great!! Now I'm gonna have to go look at your tute. Great name for the quilt pattern, and they are both such happy looking quilts too. so adorable. love that pattern. 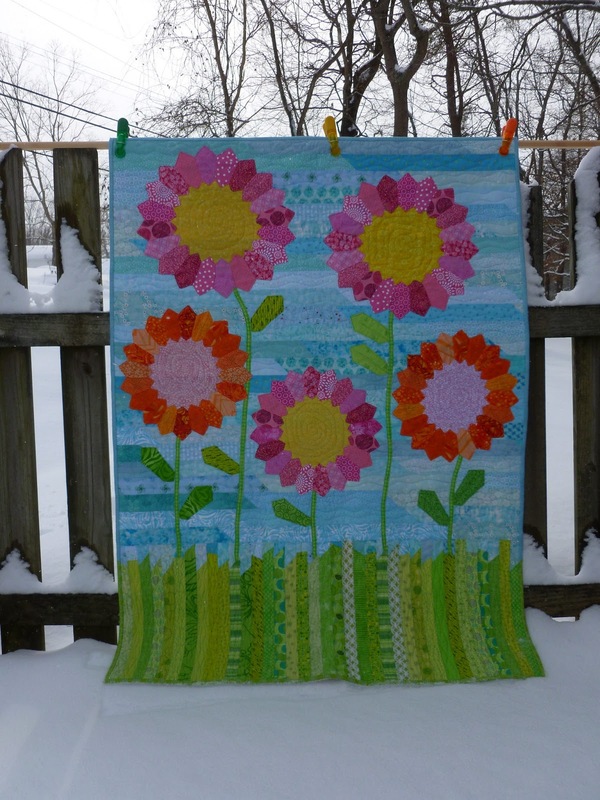 Beautiful quilts Amy. Thank you for sharing.